Free eBook creator from FlipBuilder can help people worldwide easily and quickly create and publish their online eBooks. Most of the eBooks can be downloaded or even read online. For that to happen, that eBook should be made with the right eBook creator. Now, the free eBook creator from FlipBuilder is gaining popularity due to its wide applications. Designed by Alan Chen, free eBook creator has several features that make it one of the best in town. It allows one to make eBooks that come in different formats and compatible with the most available devices. The free eBook creator is very easy to use. It is made with a friendly interface which does not need any documentation while using it. With it, eBook making and publishing now can be simple and straightforward. During the design process, Alan Chen had much to say about the free eBook creator. “Cybersecurity is the current issue which is affecting many people. We also need to make sure that free eBook creator is made with all the security features that make the produced eBook safe,” Alan Chen said. Due to that, the free eBook creator from FlipBuilder is made with all the features that maintain the high standards of security. The eBook created by the free eBook creator has immobilization features, which makes it hard to change unless the user is given permission by the owner. The content can’t be printed or even shared with other people without permission. In short, the eBook has read-only rights. The owner can also encrypt the information in the eBook and make it resistant to cutting, copying and pasting, which will reduce content plagiarization and unauthorized selling. Apart from security and ease of use, the free eBook creator from FlipBuilder gives the user freedom. The user can make eBooks from PDFs. Pictures and graphics can also be added using it. It has a drag and drop capability thus making the work of making eBooks from PDFs fast and cheap. For more information, please visit http://www.flipbuilder.com/ . 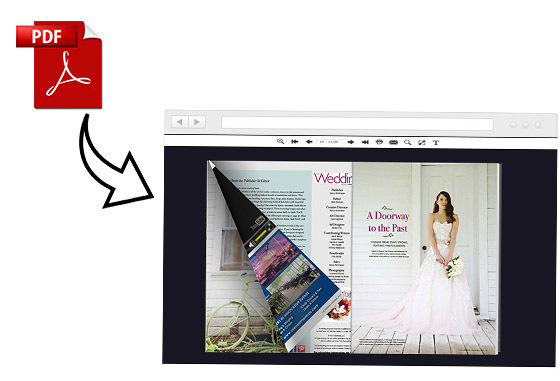 FlipBuilder is an innovative and professional digital publishing platform, providing best solution to convert static PDF files into wonderful online flipbook. From design to delivery, we focus on simplicity in use and power in function. Unlike traditional printed publications based on paper, you can create an online elegant digital magazine within several steps.